Last week saw the first successful prosecution for criminal HIV transmission in Belgium. The case surprised the main HIV support organisation, Sensoa, who were only informed of the case by the media because neither complainant nor defendant (both of whom were African migrants) had contacted them for support or legal advice. Details of the case are relatively sketchy and only available in Dutch-language news reports, available here (English translation via Google) and here (English translation via Google). A more detailed news story appeared following the man's conviction in De Standaard, but I am unable to translate it. They have been supplemented via a colleague working on the issue at Sensoa. A 54 year-old man, originally from Angola, was found guilty of 'knowingly infecting' his former wife (originally from Congo, and thought to be significantly younger) with HIV via the existing criminal law of poisoning and sentenced to three years in prison, two of which are suspended. My client is very religious. He prayed for healing. His first wife and the children he had with her never became infected. Therefore he assumed that his prayers were answered. Without ever taking drugs. Pascual also unsuccesfully argued that the complainant could have been infected by someone else, and that scientific evidence of his responsibility for infection was inconclusive. The prosecutor had asked for five years in prison, two suspended, but the court gave a more lenient sentence. Sensoa's position – and difficulty in reaching marginalised populations – was highlighted in this article in De Standaard (English translation via Google) published last Thursday, the day of the verdict. Sensoa, the Flemish service and expertise in sexual health, is concerned about the matter in Huy. "We are not asking for criminal prosecutions," said spokesman Boris Cruyssaert. "In neighboring countries, we see that it is counterproductive. It just makes the taboo, because nobody dares to know if they are infected." "That does not mean that HIV patients should not share responsibility [for HIV prevention]," says Cruyssaert. "Only in the case of intentional transmission [should the criminal law be used]. The cultural aspect [of HIV] is often deeply rooted faith. Of course prayer does not eliminate HIV, but the Angolan man is very religious. He was really convinced that his prayers were answered. " Sensoa tries to reach other cultures, with accessible information [about HIV] but that is not easy. Since 2009, in an opinion by the National Council of the Order of Physicians, a doctor can, in exceptional cases, inform the partner of an HIV patient [if there is a belief of exceptional risk of harm]. The case highlights three important issues. First, the general law can always be applied even when it appears that a country has so far been spared prosecutions. Second, people with HIV who have no connection with HIV support services may feel that the criminal law is their only recourse to justice, when appropriate counselling may have mitigated the sense of betrayal felt by the complainant. Third, cultural issues (including faith-inspired denial) can have a major impact not only on disclosure, but also acccess to treatment, care and support. Prior to this case, only two individuals had approached Sensoa for legal assistance, and these were civil cases, involving custody issues. In both cases the HIV-positive status of the father was used in court in an attempt to take away the father's rights. Two previous attempts at using the criminal courts for HIV exposure or transmission in Belgium were unsuccessful. 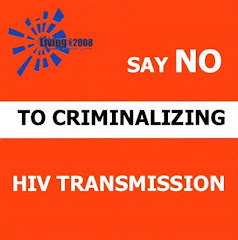 One involved an HIV-positive man prosecuted for not disclosing to his girlfriend who subsequently tested HIV-positive, and a 2007 case involved an HIV-positive man from Ostend who was prosecuted for attempted murder for not disclosing to his boyfriend, who remained HIV-negative.